HAVANA — In the splendid neighborhoods of this dilapidated city, old mansions are being upgraded with imported tile. Businessmen go out for sushi and drive home in plush Audis. Now, hoping to keep up, the government is erecting something special for its own: a housing development called Project Granma, featuring hundreds of comfortable apartments in a gated complex set to have its own movie theater and schools. 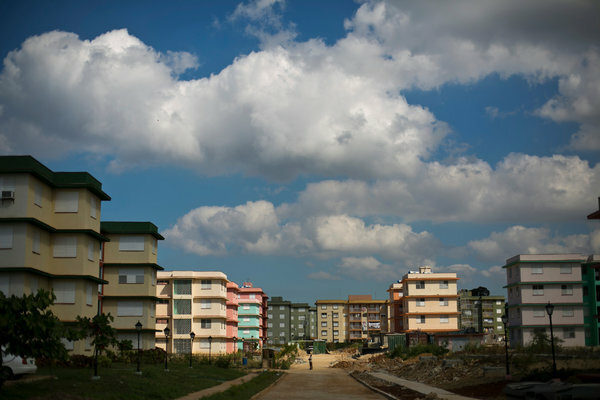 Cuba is in transition. The economic overhauls of the past few years have rattled the established order of class and status, enabling Cubans with small businesses or access to foreign capital to rise above many dutiful Communists. As these new paths to prestige expand, challenging the old system of rewards for obedience, President Raúl Castro is redoubling efforts to elevate the faithful and maintain their loyalty — now and after the Castros are gone. This entry was posted in Blog and tagged Housing, Military. Bookmark the permalink.